Made from the fruit, the whole fruit and nothing but the fruit. Their secret to the juiciness of Fruit Bliss is simply water! They offer dried tart cherries, figs, plums, dates, a fruit medley, and tomato halves. Brand new for Fruit Bliss is their new line called Fruit & Nut Bites. The Fruit & Nut Bites combine a tasty blend of fiber-rich fruit and crunchy nut pieces. It’s the perfect bite-sized solution for breakfast on the go, an afternoon pick-me-up, or a satisfying lunch box treat. Fruit & Nut bites are a delicious snack option you won't feel guilty about. Specially designed with maximum flavor and nutritional balance for active people, or JUST BECAUSE it tastes so good! Treat yourself to the surprisingly soft texture loaded with choice dried fruits, nuts, a variety of seeds, rolled oats and all natural peanut butter. Wheat free! No preservatives! No high fructose corn syrup! Soy free! Great for hiking, cycling, running, skiing, golfing, fishing, boating, sightseeing, climbing, flying and commuting. Perfect for your yoga, soccer or tennis practice, at the turn on the golf course, and any post work-out or late night study snack. 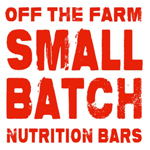 The all natural nutrition bar you'll actually enjoy! Born in the Pacific Northwest, Skout Backcountry’s plant-based expedition food provides powerful, organic nutrition. Organic dates and organic pumpkin seeds are the superfoods that deliver antioxidant power and sustained low glycemic fuel. Organic Pumpkin Seeds - Discover the irresistible crunch and delicious blends inspired by nature. Our Oregon-grown organic pumpkin seeds come straight from a local family farm (thanks to Pete and Tom!) located in the rich fertile soils of the Willamette Valley. Available in 8 flavors now, in 2.2 oz bags & 1.1oz mini bags. Where’s your protein coming from? 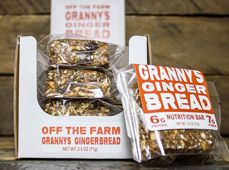 This tasty bar has 10 grams of plant-based protein from whole organic pumpkin seeds! Quick & lasting energy from 5 simple ingredients. 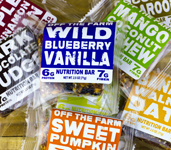 In 6 flavors like Peruvian Chocolate Peanut butter, and Oregon Blueberry Almond. These are all-organic snack bars in 8 different flavors, such as Hazelnut, Chocolate Crisp, Luscious Lemon, Cashew, and Chai. They have lots of healthy ingredients like sesame seeds, and flax seeds; are gluten, wheat, and dairy-free and really taste great! 4 new fruit flavors are sweetened with Agave (low glycemic index) and include Apricot, Cherry, Chocolate Cherry, and Tropical. You can taste the difference in our products. Each 2.5 oz. bar is vegan and has no cholesterol, no added sugar except for some of the berries, 6 to 7 grams of protein and all are high in fiber (6g or more per serving).